Recently, Oldways Preservation Trust asked me to solve a culinary mystery for the new “Lost Recipes Project” on National Public Radio’s All Things Considered. Oldways Preservation Trust is a food think tank with a mission to preserve culinary traditions and artisanal foods. 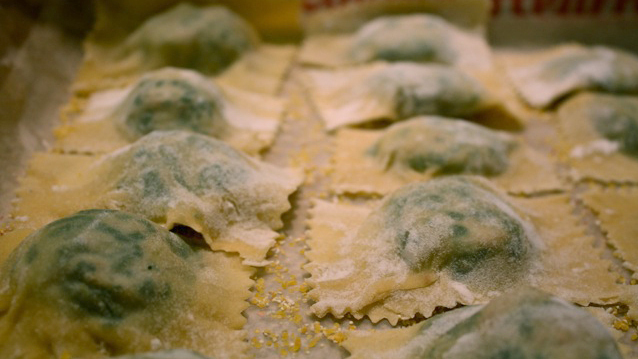 My task for NPR was to trace the roots of a listener’s elusive family recipe for an unusual type of ravioli. 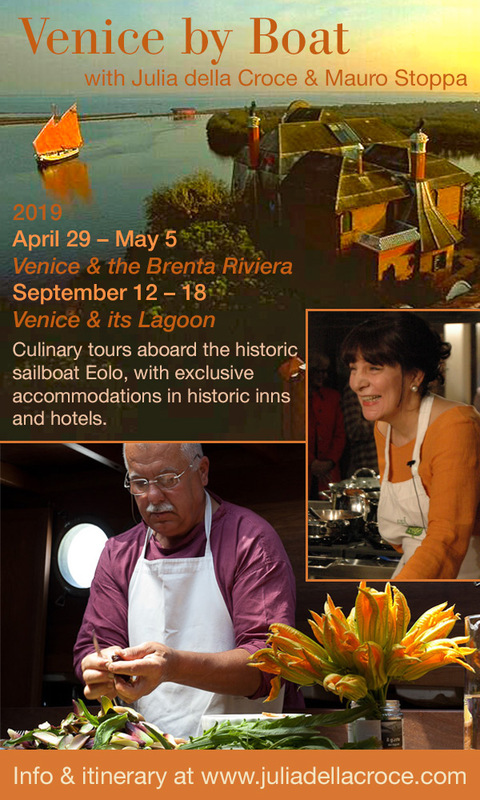 The detective work will draw you into the story of one Italian family, their traditions and food. Listen to the story of how I tracked down the long-lost recipe on the audio segment of “The Salt,” NPR’s food blog at the link below. 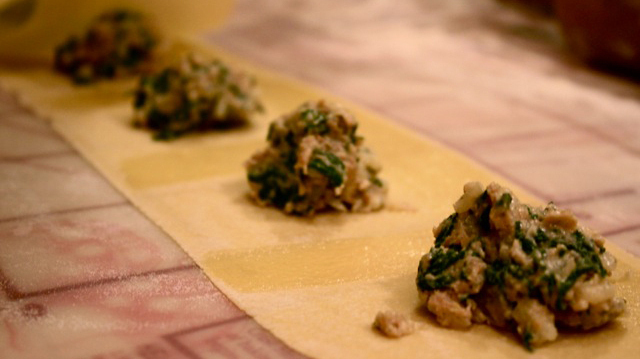 And find my recreation of the recipe for Ravioli with Rice, Spinach, and Sausage Filling there as well (PDF link at the bottom of the page). I have a cooking blog for couple of years now and I plan to dedicate one of my next posts to you and some of your incredible recipes. Your “Ultimate Pasta” is definitely one of my favourite cookbooks, already featured on my blog. I would be honored if you would like to add couple of words yourself and maybe some of your favorite recipes and tips in that post. Seems I somehow overlooked your comment–so sorry. I would be happy to participate in your blog when you feature my books/recipes. Did I miss the boat?